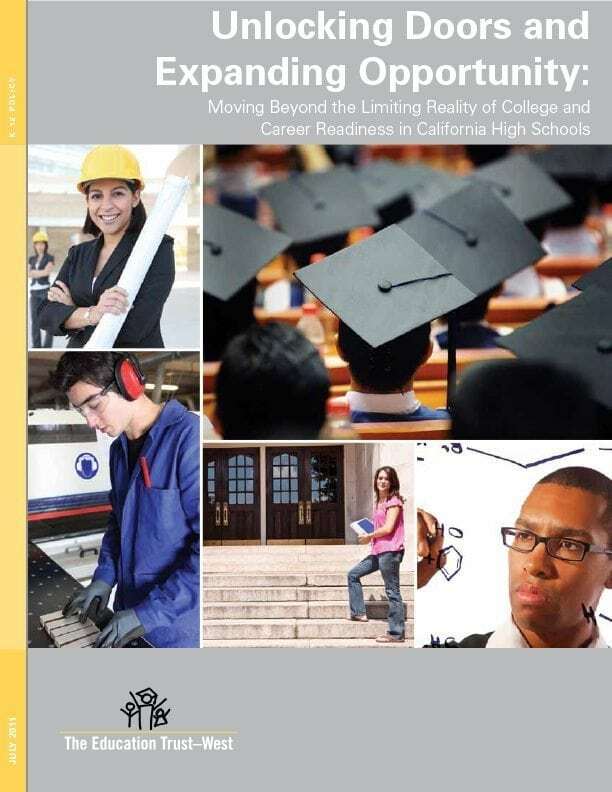 To meet California’s demand for a more educated workforce, high schools must dramatically increase the number of students who earn diplomas and graduate with meaningful preparation. Yet disturbingly, few students graduate with the college-ready coursework needed to access our state’s public university system. This is especially true for low-income students and students of color, who are also disproportionately tracked into less rigorous “career education” courses. In this report, we highlight these troubling trends and call for a more integrated and equitable approach to college and career preparation—so that high school serves to open doors to both college and career options for all students.